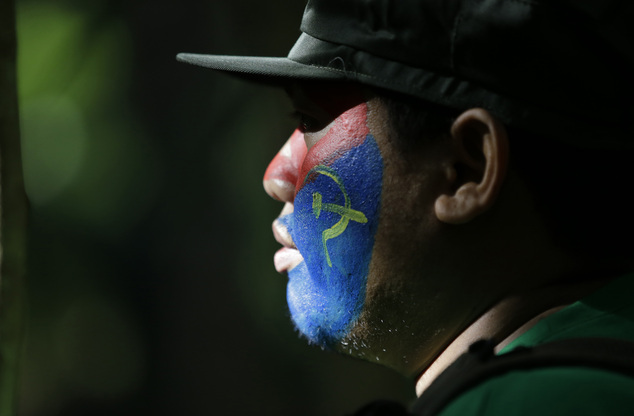 SIERRA MADRE MOUNTAINS, Philippines (AP) — Communist guerrillas warned that a peace deal with President Rodrigo Duterte’s government is unlikely to be reached if he won’t end the Philippines’ treaty alliance with the United States and resist foreign control by other countries he’s trying to befriend, like China and Russia. 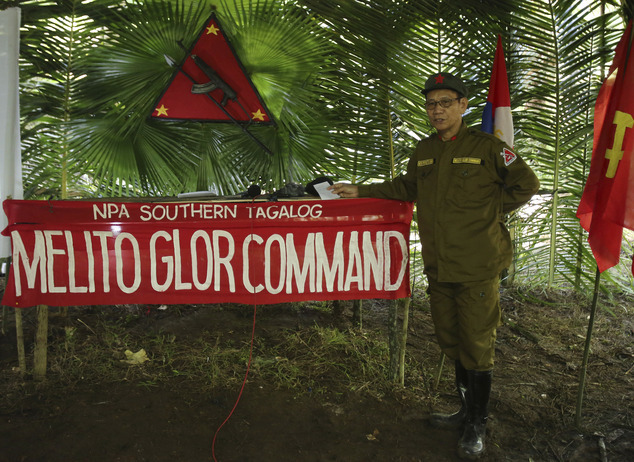 In a clandestine news conference in a New People’s Army guerrilla encampment tucked in the harsh wilderness of the Sierra Madre mountains southeast of Manila, regional rebel commander and spokesman Jaime Padilla outlined the advantages and downside of talking with Duterte to end one of the world’s longest-running Marxist insurgencies. 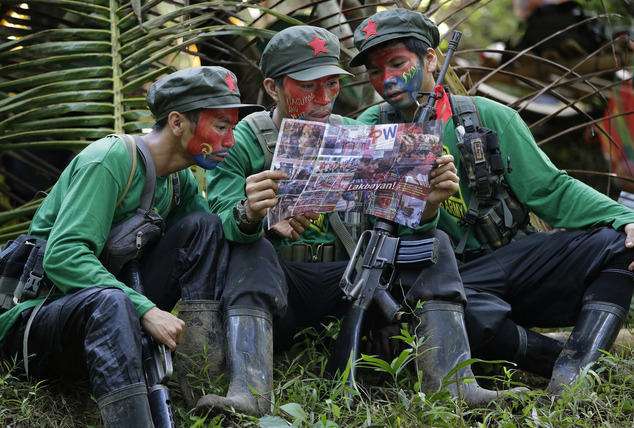 The dozens of mostly young guerrillas in muddy boots in their rain-soaked encampment on a wooded plateau reflected their resiliency but also showed the tough conditions that have long hampered their insurgency. Young rebels cooked rice, pork and chicken in soot-covered pots over wood fire while others gingerly puffed cigarettes while watching the peripheries. The nearest army camp lies just 3 kilometers (1.8 miles) away. When an air force Huey helicopter flew overhead, rebels at the news conference briefly paused and watched the passing aircraft. 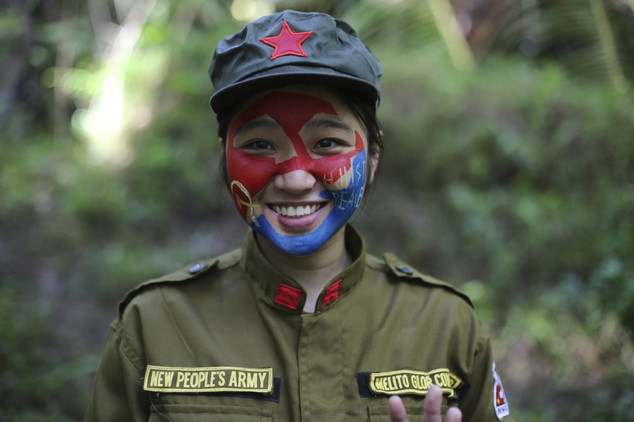 Founded in 1968, the rebels’ communist party has held peace talks with six Philippine presidents, including Duterte, whose rise to power in June sparked rebel optimism due to his searing anti-U.S. rhetoric, populist pro-poor stance and appointments of at least two left-wing Cabinet members. 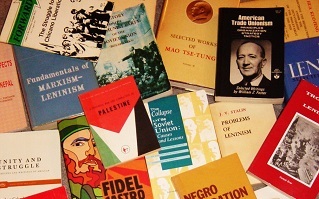 But the guerrillas have also found themselves in a dilemma due to Duterte’s moves they find reprehensible, including the killings of large number of poor drug users that sparked accusations of massive human rights violations against him, a recent decision to allow dictator Ferdinand Marcos to be buried in a heroes’ cemetery and threats to shift to dictatorial rule if rival politicians derail his anti-drug crackdown and try to impeach him. While the president has gotten attention with his angry threats to end the presence of American forces in the country, stop joint combat exercises with U.S. troops and terminate a defense accord with Washington, Padilla said Duterte has, so far, not formalized these utterances and instead has walked back on many publicly-stated policies. 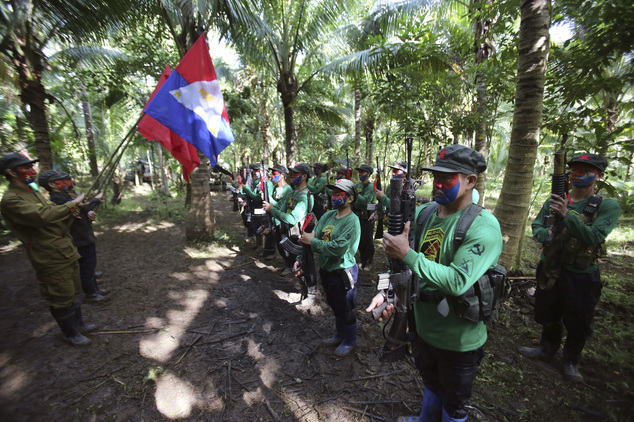 “While the Duterte government hasn’t abrogated all these treaties, the New People’s Army will have no reason to enter into a friendship or alliance with him,” Padilla, 69, told a small group of journalists escorted into an encampment ringed by mostly young rifle-wielding guerrillas. 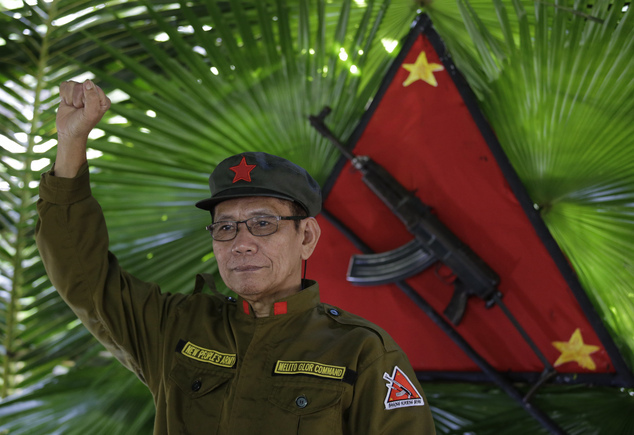 “That’s not negotiable because as long as the U.S. military has a presence, the imperialist influence on Duterte’s government will remain,” said the bespectacled Padilla, who wore a Mao cap with his 9mm pistol within reach on a wooden table. 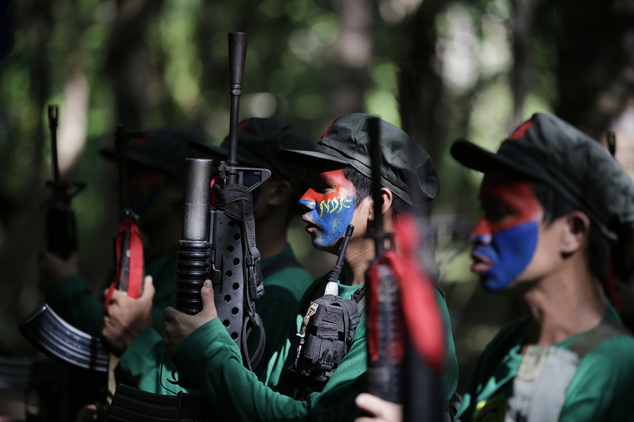 Coinciding with the rebel warning, the Philippine armed forces chief, Gen. Ricardo Visaya announced Wednesday that most joint exercises with the U.S. military would proceed next year, including the largescale Balikatan maneuvers. Most would be refocused, though, on disaster-response, humanitarian missions and counterterrorism from previous maneuvers centered on territorial defense that Duterte worries may offend China. Visaya’s statement came after he met U.S. Pacific Command in an annual defense meeting on Tuesday. 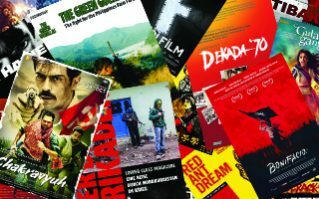 Despite thorny issues, Padilla said Maoist guerrillas remain committed to pursue talks with Duterte while criticizing his wrong moves, like allowing Marcos’s heroes’ burial and carrying out the bloody anti-drugs crackdown. Philippine police should target drug lords and syndicate leaders and not poor addicts, who the rebels consider victims and not criminals,” he said, adding they have targeted big drug dealers in the past. 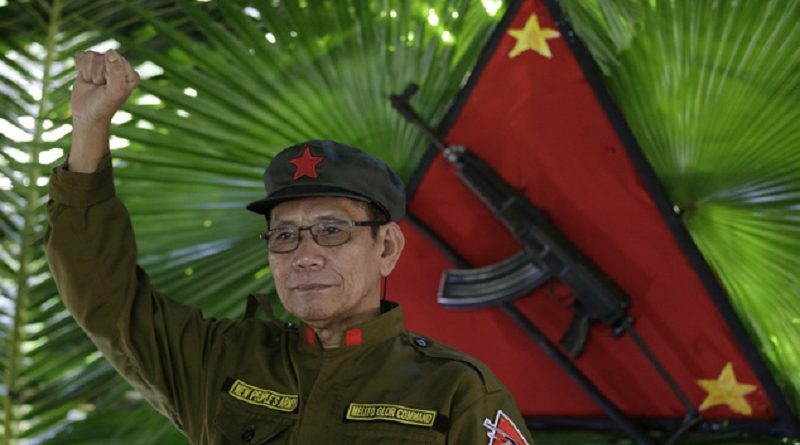 “We are sincere with the peace talks, we are honest and we want to end 47 years of armed struggle,” Padilla said when asked if the rebels were just trying to extract concessions from a president with whom they may not likely forge a peace deal. 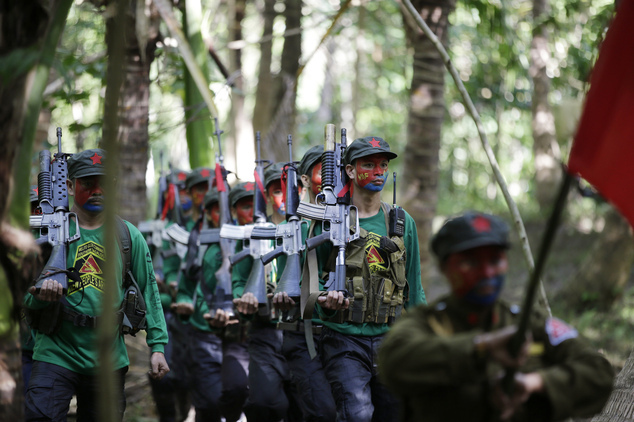 The guerrillas, he said, would not simply surrender their firearms unless their major demands are not met, including social and economic reforms, land reform and an industrialization program that favor the poor, who make up about a fourth of more than 100 million Filipinos. 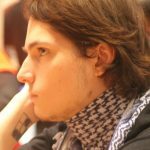 Battle setbacks, surrenders and infighting have weakened the rebel group, which is blacklisted as a terrorist organization by the United States. 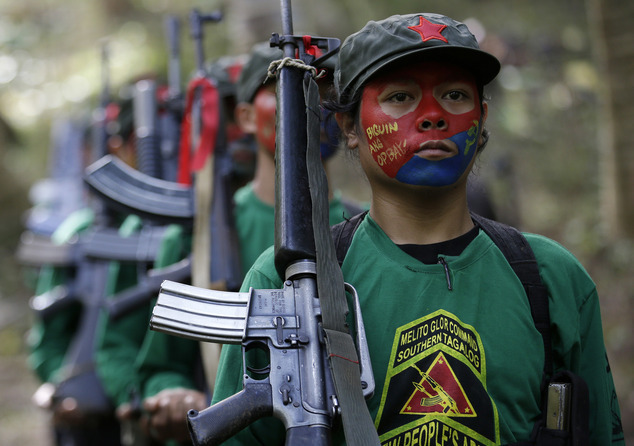 A confidential government assessment obtained by The Associated Press says the guerrillas have declined to 3,800 fighters with more than 4,500 firearms in the first half of the year, with about 700 of the country’s 42,000 villages affected by the insurgency.